New Mobile Casino brought to you form Cozy Games, running on the Mobile Casino network. Small selection of Casino games, scratch cards, Slots and more. Play some of Cozy Games classic such as Mystic Wilds, Big Ben and King Of Slots. Boku accepted. If you are already a lover of online bingo, then chances are that you have played at sites like Bob's Bingo, Gone Bingo, Landmark Bingo, Little Miss Bingo and House of Bingo. 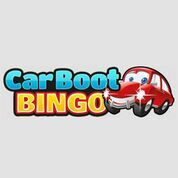 These, and many more popular bingo sites are operated by software provider Cozy Games. Software giants of the online gaming industry, Cozy Games have set themselves apart from their rivals by also providing 80 ball bingo, and 30 ball speed bingo. 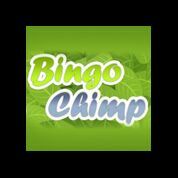 Cozy Games also offer players excellent versions of their mobile bingo sites, meaning you can now play on your iPhone and iPad, and various other smart phones. Social gaming, network jackpot games, video slots, and table games are just a few other products that can be found in the extensive Cozy Games product suite. So who are Cozy Games? They were founded in 2005 by a crack team of online gaming industry experts and with an excellent range of products, they continue to innovate and lead the market. Cozy currently offer five bingo games, eight online casino games, 12 online scratchcards, and 70 slot games. The managing director of Cozy Games is Sree Reddy Vanga, who has over 10 years' experience in the online gaming sector. He began his successful career with Party Gaming PLC, where he helped launch the Party Casino and Party Bingo brands. Chief Operating Officer is Tim Green, who has 20 years financial/risk management experience. Companies he has worked for include Prudential, Chubb, and AIG. Tim is one of the newest additions to the Cozy Team and in the past, he has worked on projects to increase revenue and differentiate games. Head of the Business Development team is Jaydeep Chakravartty, with nine years of product and marketing experience. Lead of Technology is Poorna Shashank, and head of public relations is Esther Cochrane, an expert in PR and event management. The company is based in Valletta, Malta, and boasts an incredible amount of players. Indeed, the 2011 player count reached truly enormous numbers - online players totalled 2,848,103, social gamers totalled 10,955,34 and mobile players stood at 199,978. Sign up to play online bingo at a Cozy Games site, and you will immediately notice that it is totally different from its competitors. 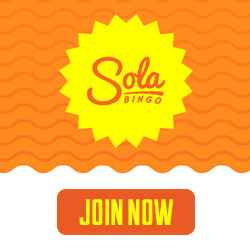 For instance, if you sign up to play Bob's Bingo, you are immediately welcomed with huge bonuses, often much larger than you will find at other sites. Indeed, Bob's Bingo offers an enticing 750% in free bingo bonuses over the course of a player's first THREE deposits. When some sites only offer 100% on a first deposit, it's easy to see why so thousands of players are attracted to such generosity. Generous bonuses are dished out on all future deposits too, with an enormous 100% bonus on deposits between £100 and £500. Bob's Bingo has a loyal army of players, not least because of the outstanding Loyalty Program. 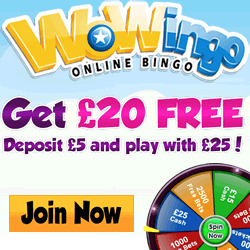 Players soon amass vast amounts of points: for instance on bingo, with every £1 wagered, one loyalty point is given out. And on slots, with every £10 wager, one point is handed out. Players then climb up the loyalty levels, which are silver, gold, VIP, and SVIP. Player security is of utmost importance at Cozy Games, and the online bingo software uses 128 bit SSL encryption for the highest levels of protection. Online bingo sites operating on the Cozy Games platform accept most popular payment methods - indeed, Bob's Bingo is a UKash bingo site. It also accepts Visa, Switch and Paysafecard. Reports on Deposits, Withdrawals, Vouchers Used, Referral Earnings. 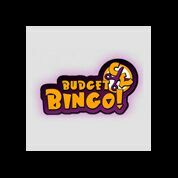 Pre-buy – never miss a jackpot, bingo cards are purchasable without needing to login to the bingo site.